Regular readers will recall this bloggers post, here, about KFC's ad campaign that was certainly tasteless and flirted with consumer protection laws. Well, the marketing team at KFC is at it again, this time flirting with trademark law. 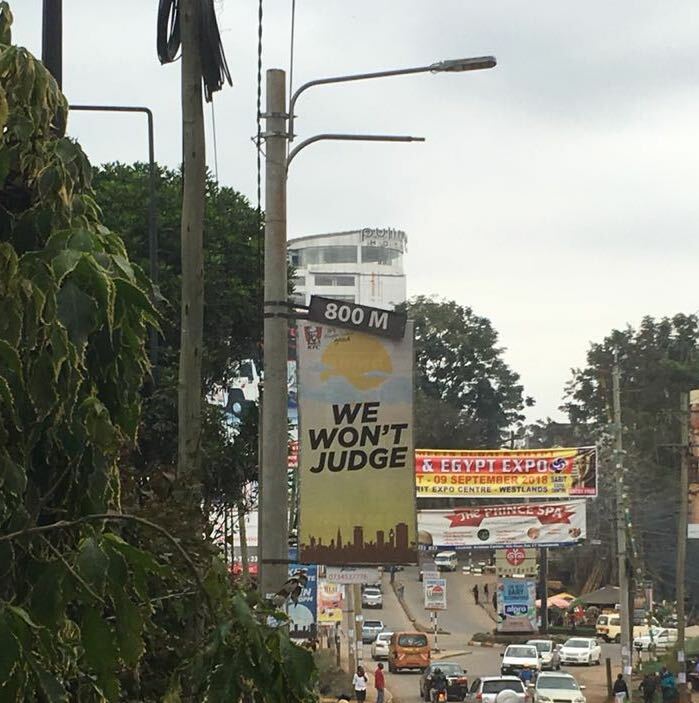 On a street in Nairobi can be seen an ad encouraging customers to "Come in your shorts and crocs", with a signboard a few dozen meters down the road that reads "We won't judge." The word mark "Crocs" was submitted by Crocs, Inc., a Delaware Corporation, for trademark protection at the Kenyan Industrial Property Institute (search for "crocs" at this link for more info about the advertised marks) in 2011. So, KFC is using the registered trademark of another company in a commercial activity - i.e., their advertising campaign. This is not per se infringement, but it raises some issues. 1. Is KFC stating, implicitly or explicitly, that Crocs, Inc. has endorsed their product? This blogger thinks the answer is probably "no" based on the context of the use. Nothing from the ads would seem to indicate that there is an endorsement. 2. Is KFC diluting or tarnishing the Crocs trademark? This question is a bit harder to answer. 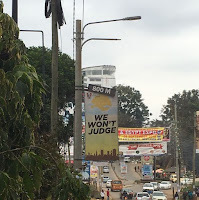 The implication by the ads is that you can go to a KFC in any state of dress, even wearing a super casual outfit or one that is not suitable for being seen in public (adults in Nairobi are almost never seen in public wearing shorts). Is this disparaging on the Crocs trademark? 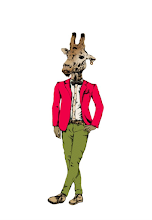 Certainly Crocs are known for comfort and are not generally considered formal attire, so perhaps it is in line with the brand that Crocs, Inc. seeks to portray. 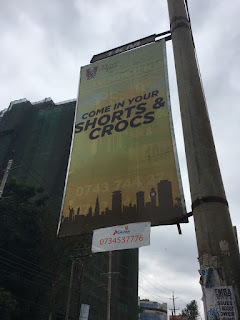 Nevertheless it seems that Crocs, Inc. should be the (only) one deciding the reputation they seek, independent of any advertising campaign of other companies. 3. Is KFC taking unfair advantage of the Crocs trademark? Perhaps here the answer is also "no" since there would seem to be no direct relationship between a croc and fried chicken (even if, as it has been reported, crocodile meat tastes like chicken). On the other hand, KFC is clearly trying to associate itself with the casual/relaxed reputation earned by the footwear at issue. In conclusion, this blogger appreciates the activities of KFC only insofar as they allow speculation as to the limits of IP law.